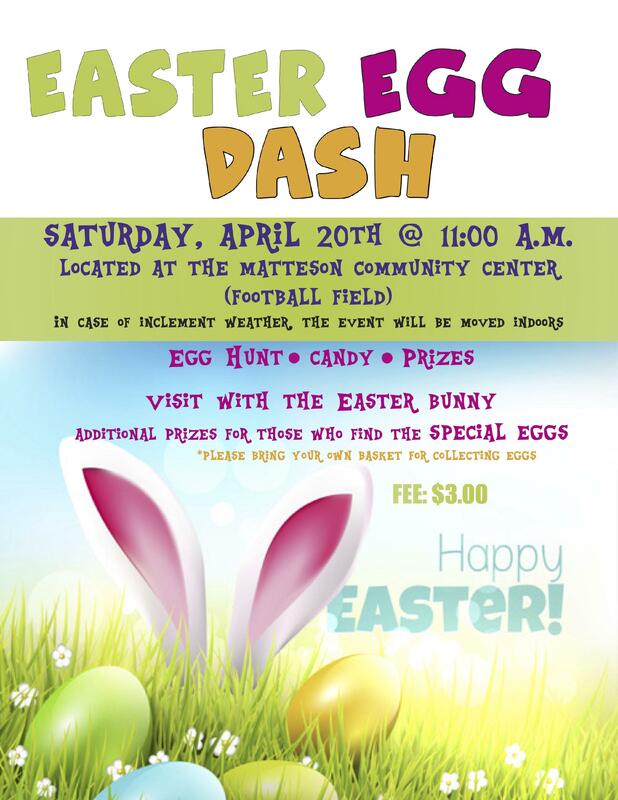 Come out and join the Easter Bunny to search for eggs on the outside grounds of the Matteson Community Center. Easter Eggs will be scattered around filled with candy and prizes. Additional prizes will be available for the child that finds the "SPECIAL EGG". Please arrive 15 minutes prior to the start of the event so we can start on time. Please Note: In case of inclement weather, the event will be moved indoors.